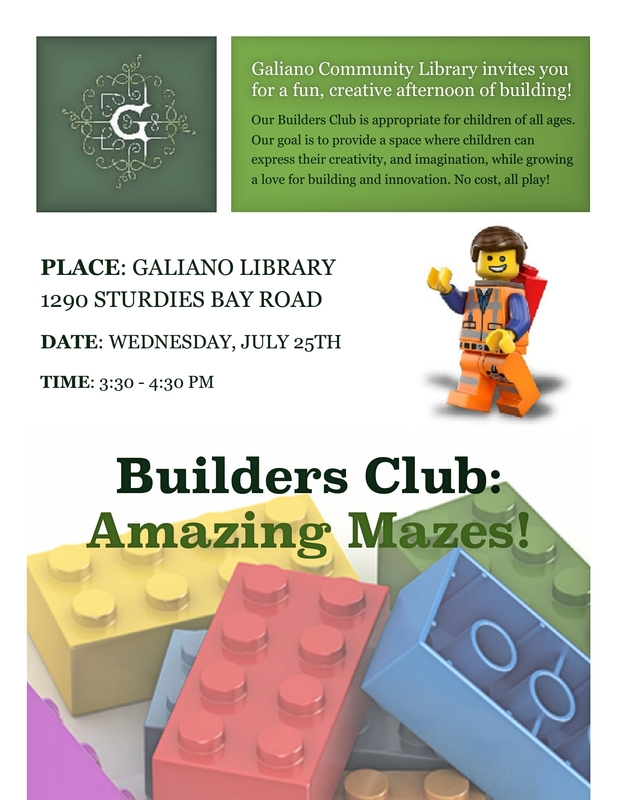 Galiano Community Library invites you for a fun, creative afternoon of building! Our Builders Club is appropriate for children of all ages. Our goal is to provide a space where children can express their creativity and imagination while growing a love for building and innovation with Lego.